Short in height but great in spirit, as the frontline reports suggested, he quickly became one of the heroes of the forming republic. The young state, or as the more sceptical and better informed would say – pararepublic, needed for its existence to formulate symbols which could give it the frame of a quasi-state. The tricolour republican flags began to flutter over Donetsk and other cities in the region. A hymn was agreed upon and government structures were established. However the republic in its state of war needed heroes it could proudly show to the citizens and around whom it could integrate local communities. “Motorola” was one of those people. Although he came from Russia, he fought for the independence of Donbas, for the right to speak Russian and for the lives of the people of eastern Ukraine’s towns and villages. 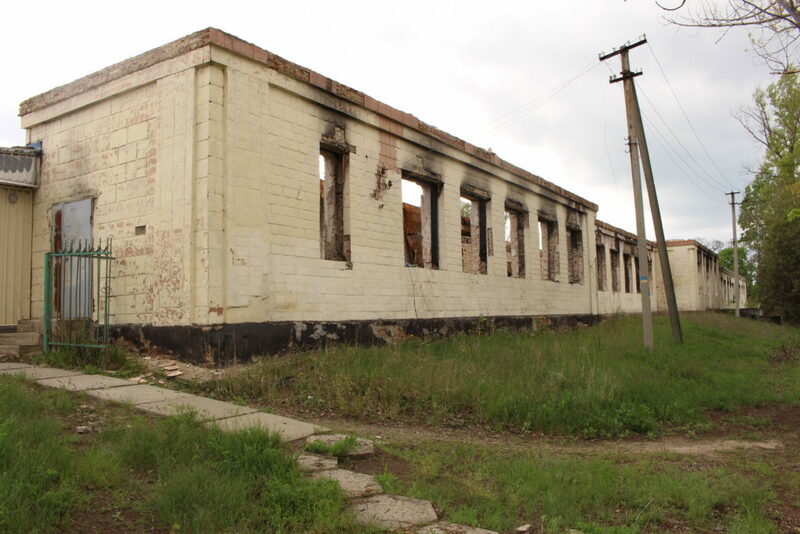 Villages which were seen as being under attack from the post-Maidan authorities from Kyiv. He was someone who could be praised and recalled in memories from the battlefield. One person finally embodied the strength of the self-proclaimed DNR and its forming agency. He also personified a positive story, from the point of view of the separatist-Russian propaganda, of a simple man (he used to work in a car wash), who armed with weapons tries to save himself and his people from the Ukrainian nationalists. The reception of Pavlov and his actions in Ukraine was, of course, completely different. Motorla and the other leaders of separatist divisions, mainly known by their nicknames, were treated as bandits and terrorists. Their faces are burnt into the minds of all Ukrainians giving the last farewell to their loved ones in cemeteries around the country. 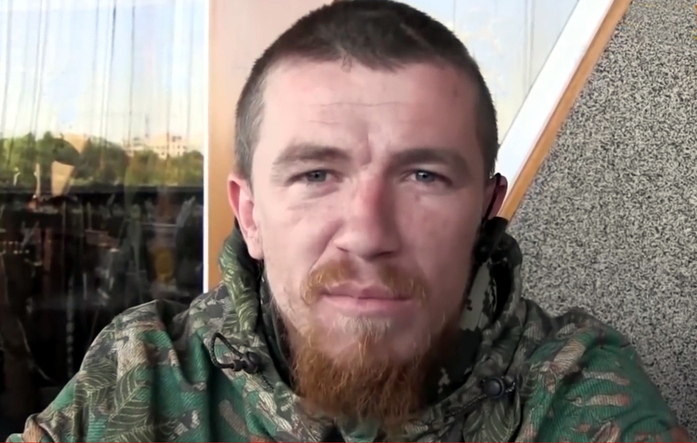 Motorola from Sparta, Giwi from the Somali battalion, Bezler governing Horlivka, Sloviansk’s conqueror – Strelkov and others of their kind. The fame they enjoyed among their supporters in Donbas, and the circles supporting the idea of territorial changes in Ukraine, were seen at the Dnipro river as the senseless glorification of a pointless fight leading to nowhere. It was those commanders who have been seen as Russia’s tools of violence in Donbas, who stirred the spiral of hatred and human tragedy. Hundreds of dead Ukrainian soldiers and the cities destroyed as a result of conflict have been seen as the work of their hands and as proof of the criminal character of their actions. Motorola himself was firmly in the spotlight given the accusations against him related to the executions of Ukrainian war hostages. Whatever the future of the conflict, there was no place for him in Ukraine. He was perceived as a member of the “war party”, a group who saw the conflict as a way to maintain their social status and the positions they reached during the war. The war that has been shown in the media has primarily been fought on the Ukrainian-separatist front. This is a depiction that was framed in the beginning of 2015 and has not changed much ever since. However, many other unknown conflicts have been going on simultaneously inside both separatist republics. Such as a brutal fight for influence, money and the chance to make a life in the new circumstances. Apart from the frontline reports, bits of information from the peaceful parts of Donbas began to resurface. Somewhere someone got shot, someone was blown up. Those who, like Motorola in 2014 were the driving forces of the war, began to disappear. Aleksandr Mozgovoy, the commander of the Prizrak brigade, died in an ambush. His car blew up on a mine and then was machine-gunned. Pavel Dremov, commander of one of the Cossack divisions of the self-proclaimed Luhansk People’s Republic, was blown up in his car. Arsen Pavlov died together with his bodyguard as a result of an explosion in the lift of his apartment block. These are a few examples, but there have been more of them. In the chaos of war the limited access to information from the separatist republics makes it difficult to unequivocally judge who was behind the murders, although the most obvious interpretations have been repeated each time. Ukrainians claim with one voice that the assassinations are the work of Russians, who are thought to be pulling the strings in these territories. According to the Ukrainian interpretation, the executed did not enjoy the trust of the Kremlin or were simply inconvenient because of what they knew. On the contrary, according to the Russian side, it was Ukrainian sabotage groups infiltrating the territory who committed covert assassinations of the republics’ citizens. 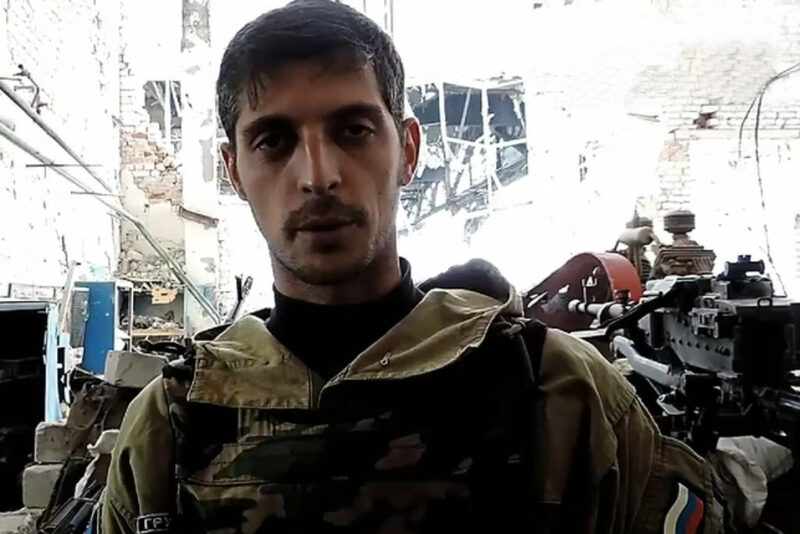 For those with a better understanding of Donbas realities, the death of yet another warlord can probably be attributed to the fight for control over a mine, or another source of wealth. The growing apathy and the feeling of hopelessness have led many people to come up with more down-to-earth explanations for the deaths, rather than turgid slogans about the war on fascism. The prolonged conflict, the deterioration of the economic situation in the region and the need to secure means for the maintenance of a relatively big army, have created favourable conditions for the new division of the goods market. Given the lack of a strong, elected civilian authority, the real power and control over the still functioning industrial plants and the main roads and railways has been concentrated in the hands of separatist divisions and their commanders. Arsen Pavlov did not die in a heroic fight on the battlefield. 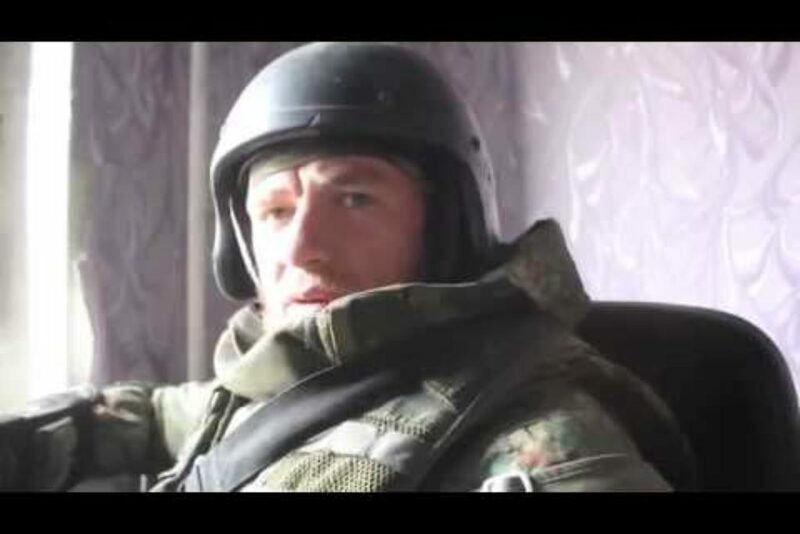 He died as a result of the detonation of an explosive planted in the lift of his block in Donetsk. For Ukrainians his death was deserved for his character and all of the crimes it is believed he had committed. His personality, his pseudonym and place of death have been mocked. But the circumstances of his killing will not diminish his myth, which was formed before his death. No matter who detonated the explosive, the myth of Motorola’s fight will last as long as the self-proclaimed DNR or as long as it will be politically beneficial. The announcement of a mourning period and an official funeral clearly show that the republic’s authorities will try to use this death for propaganda purposes. It might also be used to justify the intensification of military activities. However, given the ease with which the fighting can be resumed, even the killing of a commander as famous as Motorola might not have any particular relevance. He will be replaced by someone new. The mourning in Donetsk will soon be over. People will try to live as far from death as possible. For the war in Donbas with all its negative effects is still going on. Wojciech Koźmic is a Polish civil society activist and New Eastern Europe’s photo-reporter. His photographs from the EuroMadian, Crimea (just before annexation) and Ukraine’s east have been published in previous issues of this magazine. He blogs at: www.wojciechkozmic.pl.